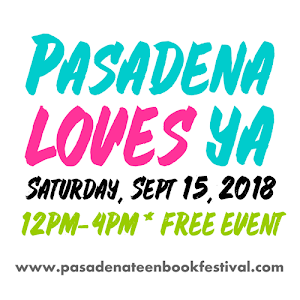 What: Meet some of the hottest young adult authors in Southern California: panels, signings, giveaways and more! Cost: Free! No tickets are necessary. You can also message us on Facebook // Twitter // Instagram // Ask us anything on Tumblr. Please use hashtag #ptbf2015 when posting about the festival! 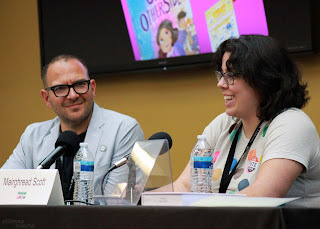 Q: Do I have to buy a book at the Festival to get my books signed? A: No purchase is necessary. You may bring books from home. Please remember that purchasing from our on-site vendor will help support the event and raise the chances of it happening again next year! Q: Will there be time to get my books signed before the next panel starts? A: Signings for authors on a panel will take place in the same room, and there will be about 15 minutes or less between the start of signing and the beginning of the next panel in another room, so please help us keep the lines moving! Keep posed photos to a minimum if there are a lot of people waiting for you to finish. Q: Will there be food at the Festival? A: There will be some refreshments offered to attendees in the Studio/Teen Central, but we recommend you bring your own lunch/snacks to consume during the event as there is no way to predict if there will be enough for all. Food is NOT allowed in certain areas like the Auditorium, the Children's Room, and the Centennial room. As always, be sure to keep the library clean. Q: Where should we park? A: While we do have some parking at the library lot and on the street, there are some additional spaces at the University of Phoenix (enter on Garfield Ave just past the library lot). You can check out the map here. Thanks for helping spread the word! Right-click on any image to "Save Image As..." to your drive.